Holiday Planning is in Full Swing! Bar 41•82 (previously known as “The Craft” Bar) not only has a new name but updated menu items from Chef Bernie and his team. Some of the new items include pizzas, salads and shrimp. We are also featuring a new selection of Dante wines and beers on tap. Located in our adjoining Residence Inn Marriott – Avon/Cleveland, Bar 41•82 has been hosting a number of year round events. At the present time, there have been monthly Tuesday evening dinners with live entertainment that take advantage of the large, comfortable patio and outdoor grill. At other times we host year round events like Mardi Gras, Oktoberfest and other themed nights. Come on out and enjoy the comfortable ambiance and outdoor spaces during the summer. And in the colder months, cozy up by the fire and enjoy cocktails and lite bites! Beat the Winter Blues with these Cool Meeting Perks! 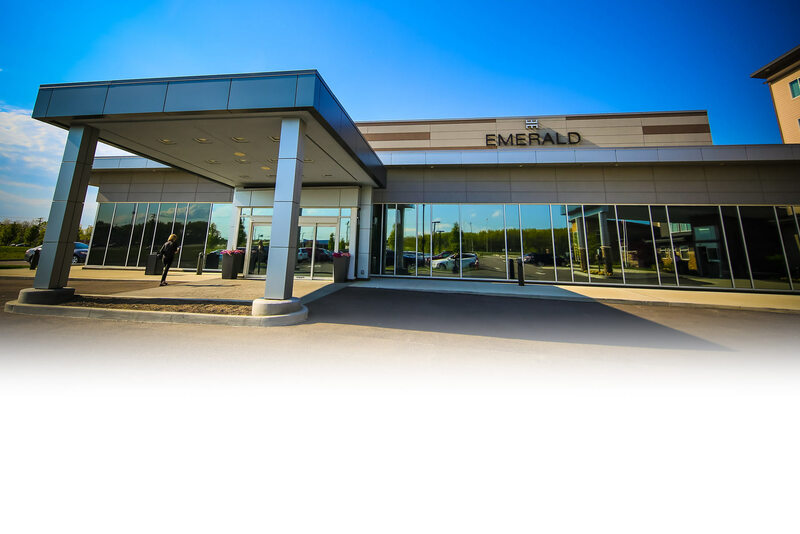 The Emerald Event Center is a state of the art event venue less than 20 minutes from downtown Cleveland and voted #1 on the Cleveland Hot List for 2017 and 2018. Our highly flexible event space, attached to the Residence Inn Cleveland Avon by Marriott, provides a unique setting for your wedding ceremony and reception, corporate events, and special occasions.